This year marks the tenth anniversary of the introduction of the iPhone. The iPhone would go on to revolutionise mobile communications in ways few could have foreseen – yet these mobiles have since become commonplace to all and sundry. The first commercial Android device was released a year later; today Android has the largest installed base of any operating system in the world. In 2010 Microsoft also heeded the call with the ill-fated Windows Phone 7 (based on Windows CE). “Too little, too late”, one might say, nor was there an upgrade path to 2014’s superior Windows 8/8.1 generation (now based on Windows NT). I speak from experience because I “had” as many as three Nokia Lumia phones – all powered by Windows Phone 8. And they were pretty damn good. At its outset in 2010, Windows Phone was the boldest and most original reimagining of what a smartphone can be after Apple’s iPhone introduction three years prior. Unlike Android, Windows Phone was not a re-creation of the iOS icon grid; also unlike Android, Windows Phone ran fast and fluid on very basic hardware. When Blackberry “went under” I had the chance to order a Nokia Lumia 830 as my work phone in 2014. It integrated well into the Windows 7 Enterprise environment and did everything one would want a work phone to do (including surviving a forceful encounter with a marble floor). The interface was radically different, and it sometimes became the envy of others who were used to the familiar (and similar) iPhone and Android environments. My wife also had one. The chromeless, distilled interface of WP7 was a million miles away from the skeuomorphism dominating Apple’s phones and Samsung’s copycat efforts. Where an iPhone served you static icons, a Windows Phone offered tiles with live information on them: a calendar surfacing your next appointments, a messaging app presenting snippets of texts, a phone app with your last missed call, and so on. And it was here that my Lumia 830 trumped. While I personally consider the customisable tiled interface sheer nonsense for a mouse-controlled desktop OS, it worked exceedingly well on touch-screen devices with small screens. It was stable. It was intuitive and responsive. I was genuinely fond of it. That, unfortunately, was about it. No amount of pretty window dressing could compensate for the lack of really fun apps, including those by my very service provider/employer. It had no exclusivity to services like iTunes, Spotify, or Netflix. It didn’t have a native YouTube app nor anything else from the house of Google. Nobody bought it due to lack of apps, and nobody bothered to develop apps for it due to lack of customers. Microsoft capitulated. Windows Phone was its own killer suicide app. A few weeks ago I had to replace my existing Android phone due to a creeping hardware fault. Since my wife had recently upgraded to an iPhone (due to lack of required apps), I figured I may as well just take over her old Lumia 930 (I didn’t care for those missing apps). Sadly, that was not to be: Windows Phone 8.1 had entered “End of Support Status” on July 11, 2017 — nor was there an option to upgrade it to Windows 10 Mobile. Even if this were possible, Microsoft finally admitted around the same time that Windows 10 Mobile is effectively dead. Priorities had shifted. In October it was announced that it will receive no more than security updates. 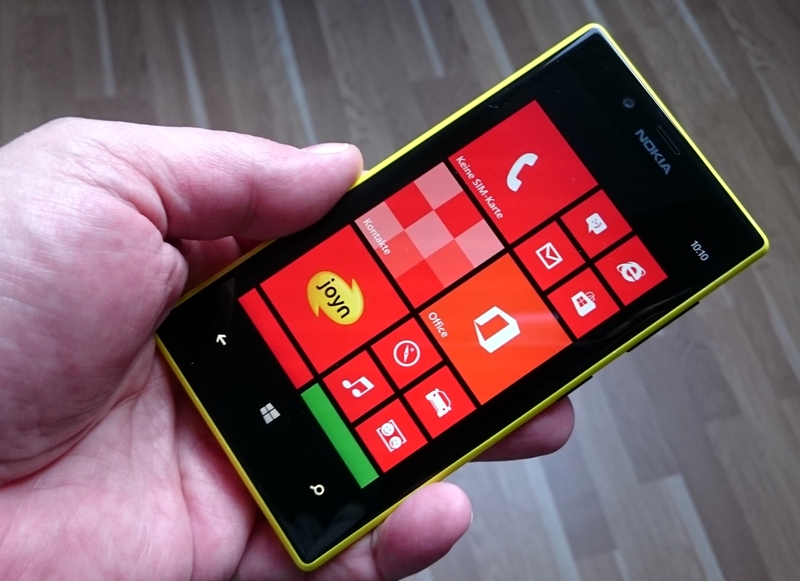 Vlad Savov’s article “Windows Phone was a glorious failure” paints a fitting eulogy. I now have a spare Nokia Lumia device fit only for the Basement Archives. Windows Phone is dead. Long live Windows Phone! This entry was posted in Technology and tagged consumerism, gadgetry, hardware, mobile, smartphone. Bookmark the permalink.